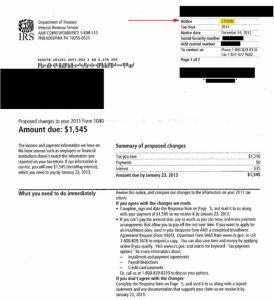 The IRS has received numerous reports of scammers sending a fraudulent version of a notice (labeled CP2000) for tax year 2015. The issue has been reported to the Treasury Inspector General for Tax Administration for investigation. • Requests checks made out to I.R.S. and sent to the “Austin Processing Center” at a post office box. If you receive this or any other suspicious contact from someone claiming to be from the IRS, please do not do anything before contacting our office. This entry was posted in Blog and tagged CP2000, fraudulent, IRS, scam on September 28, 2016 by Sandra Crider.